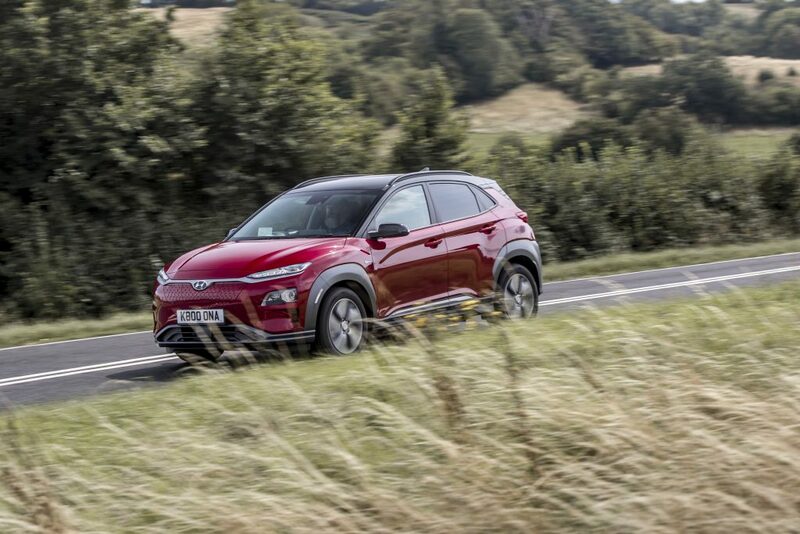 If you’re still on the fence about getting an electric car, the Hyundai Kona Electric is probably one of the best for getting into the world of electric vehicles. When I review phones, I tend to recommend some devices for iOS users to get started with when looking to switching to an Android smartphone and the Kona is very much the same for me, except it offers more than what some of the entry level vehicles out there today can offer. Available in two different powertrain versions, the long-range battery version provides a driving range of 279 miles (WLTP), delivering a maximum output of 204 PS (150 kW). With 395 Nm of immediate torque and acceleration from 0 to 100 km/h in 7.6 seconds. The 39.2 kWh standard version can drive 180 miles (WLTP) on a single charge, with the motor delivering 136 PS (100 kW) and 395 Nm of torque. 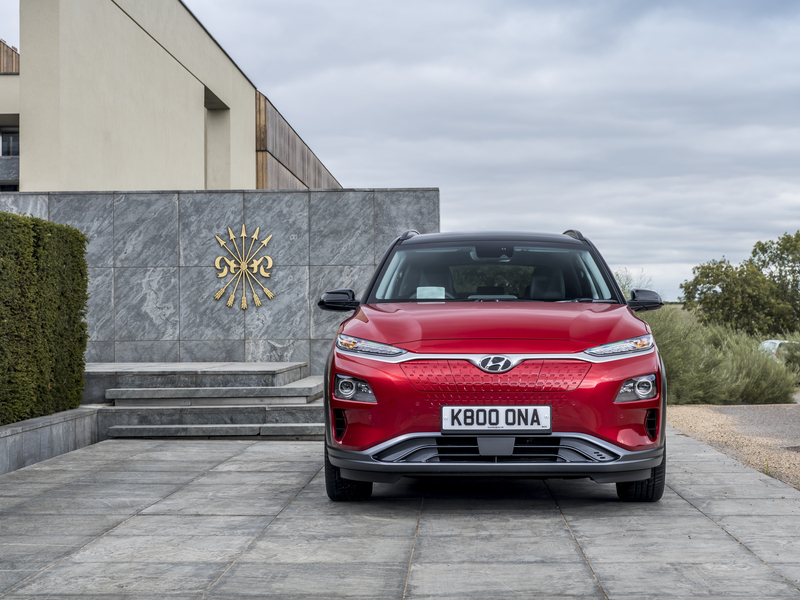 At the front of the Kona Electric, there’s a closed grille design incorporating the charge point, and a redesigned front bumper with active air flaps that enhance the aerodynamics. It also features a signature silver garnish connecting the high-level daytime running lights. At the rear of Kona Electric, the bumper has been reshaped for improved airflow, and the indicator and fog light units have also been redesigned, carrying over the sophisticated theme from the front. The rear spoiler also features an integrated LED brake light. From the side, its dedicated 17-inch alloy wheels, lower side skirt and wheel arch claddings. The Kona Electric features short rear overhangs and wing-type bumpers underline the forward motion of the car. The roof rack enhances the sleek roof line and supports the active lifestyle of customers, for example by mounting a roof carrier. 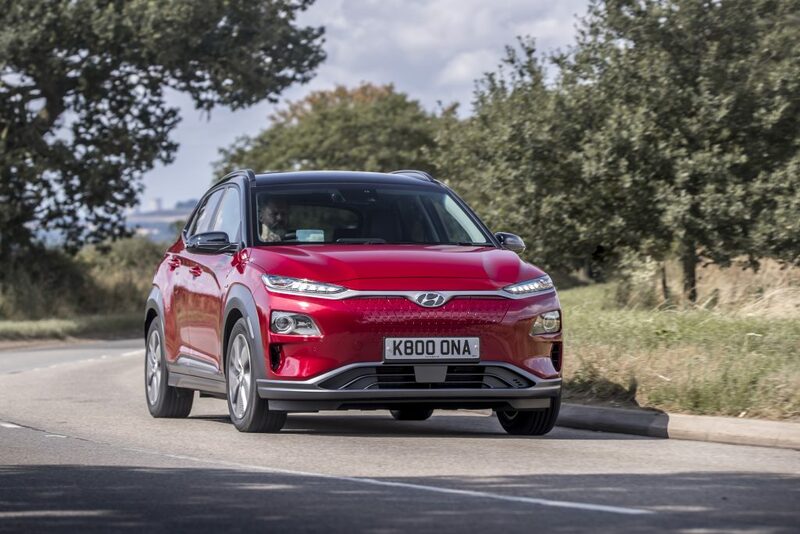 With the width of 1,800 mm and low stance of 1,570 mm, the Kona Electric has a bold appearance on the road, further enhanced by the 17-inch alloy wheels. The car’s stance is further supported by its length of 4,180 mm and a wheelbase of 2,600 mm. 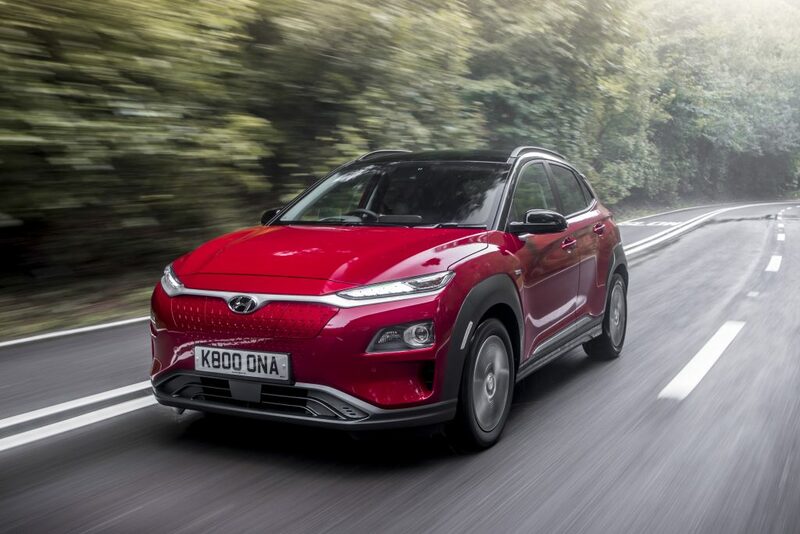 The Kona Electric is available in six exterior colour choices include metallic hues of Galactic Grey, Tangerine Comet and Acid Yellow, or pearl finish colours of Ceramic Blue, Pulse Red and Chalk White. For the interior colour scheme, customers can choose from one-tone Black or the new three-tone Blue and Grey interior colour. With the Black interior, seats are available in textile, a combination of cloth and leather or in full leather. The Blue and Grey interior is available only on the Premium SE with the Galactic Grey or Ceramic Blue exterior and comes with full leather seats. 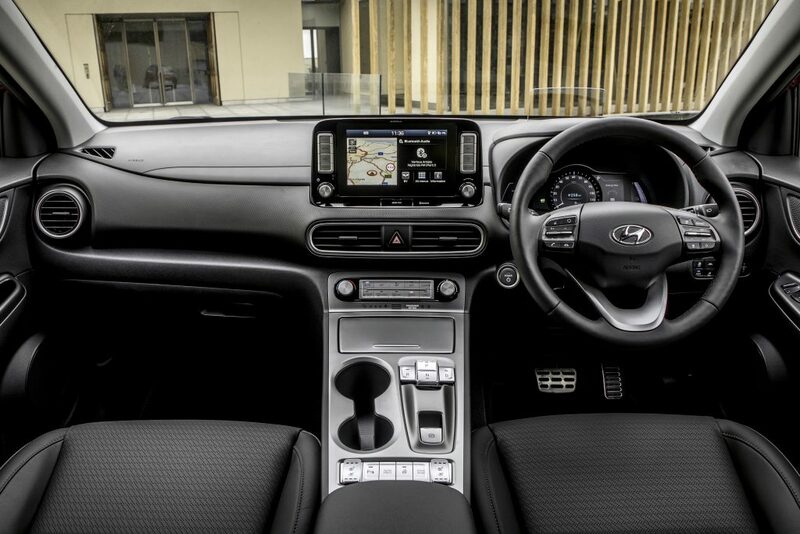 The centre console in the Kona Electric combines all the buttons to facilitate intuitive operation of the car, including the shift-by-wire module. An extra storage space for personal items can be found underneath the centre console. The new high-resolution 7-inch supervision cluster displays the different gauges, such as the speedometer, battery charge level, energy flow and driving mode. Depending on the selected drive mode, background colour and gauges are adapted to always provide the most important and useful information. In addition, the combined head-up display (HUD) projects the relevant driving information directly in the driver’s line-of-sight. This allows faster processing of information while keeping attention on the road ahead. With a projected image size of eight inches at two metres distance and a luminance of more than 10,000 candela per square metre, the new head-up display guarantees optimal visibility in different light conditions. The angle and height of the head-up display can be adjusted to ensure ideal visibility for individual needs. Once activated via the button beside the steering wheel, the HUD deploys vertically. It disappears into the dashboard when not in use. While driving, the HUD display supports safe driving by displaying information, such as speed, navigation commands and the fuel level as well as safety-related warnings from assistance systems, such as the Autonomous Emergency Braking with Pedestrian Recognition (AEB), Lane Keep Assist (LKA), Blind Spot Detection (BSD), Speed Limit Indicator Function and Driver Attention Alert. Information about the audio mode and radio are also projected. The Kona Electric offers several features for maximum on-board comfort, such as the power front seats with eight-way electric adjustment for optimal seating positions for each front passenger. The driver benefits from an additional two-way electric lumbar support system, which is fitted as standard. Furthermore, the front seats can be equipped with a three-step ventilation and three-step heating system for a more comfortable drive in different weather conditions. Another convenience feature for cold weather conditions is the optional heated steering wheel. The Kona electric is equipped with a spacious boot, which offers luggage capacity from 332 litres (VDA) up to a maximum 1,114 litres (VDA), making it suitable for everyday needs. 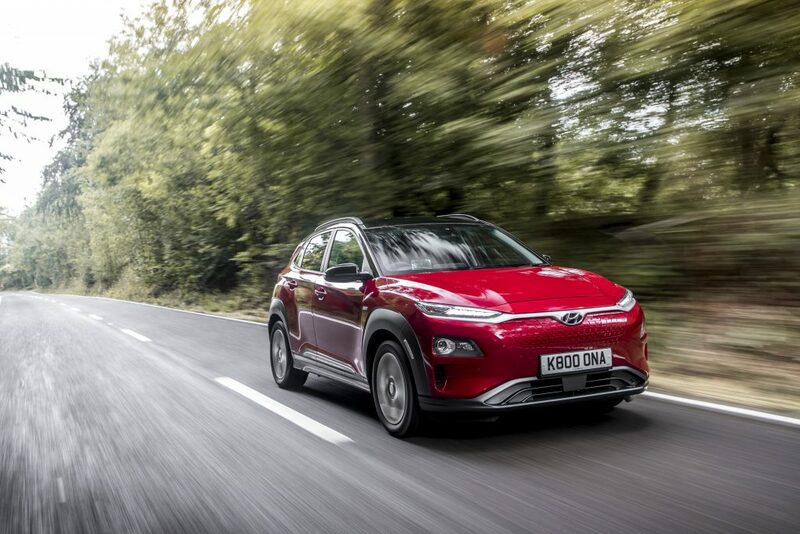 Both of the Kona Electric powertrain versions deliver 395 Nm of immediate torque,it truly pulls when you put your foot down at the traffic light, making it super fun to drive. With full power available from the first second, you get access to a maximum speed of 104 mph for the long-range battery, and 96 mph for the standard-range battery. 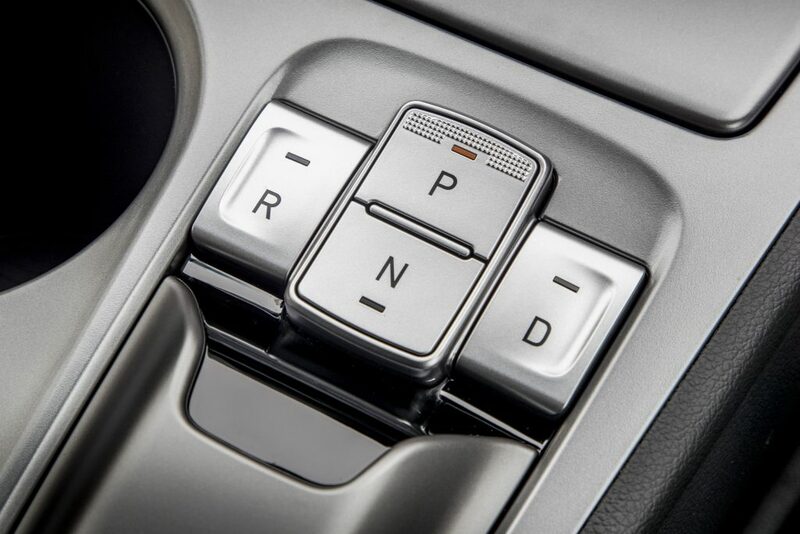 The shift-by-wire system enables operation of the car simply by pressing buttons to switch driving modes. It also eliminates the routing space required for housing the linkages between a mechanical gear shift and the transmission, providing additional storage space in the front of the car. The Kona Electric also features an electronic parking brake (EPB). Charging the lithium-ion polymer battery up to 80% only takes about 54 minutes using a 100-kW direct current (DC) fast charger, or 75 minutes using a 50 kW DC charger. With the 7.2 kW on-board charger, charging with alternating current (AC) takes 9 hours 35 minutes for the long-range battery pack and 6 hours 10 minutes for the standard-range battery pack. 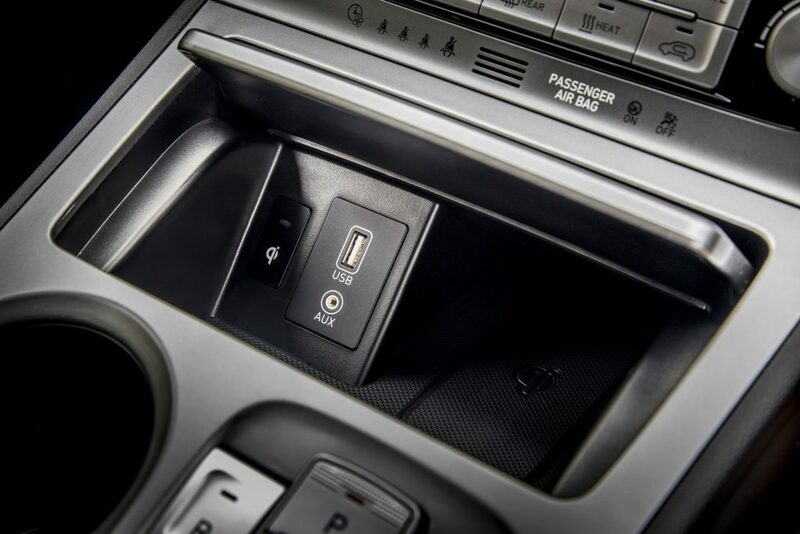 Drivers also have the option of charging their car at a compatible regular household power socket using the ICCB-cable (in-cable control box). The KONA Electric handles the road very well and for a city compact SUV, it poses no issues when it comes to parking and tight spaces. It moves off the line like there’s no tomorrow and it doesn’t struggle to build up speed. With an electric motor, you don’t have to worry about that the latency between putting your foot down and actually seeing the result, you might even have to be gentle on the accelerator to avoid wheel spin. Take your foot off the accelerator and the regenerative brakes kicks in to replenish the battery. The steering is very responsive and accurate than most, even when going down windy country roads or bends in general. As it’s electric, obviously you get no engine noise and inside the cabin, outside noise or road noise doesn’t intrude. 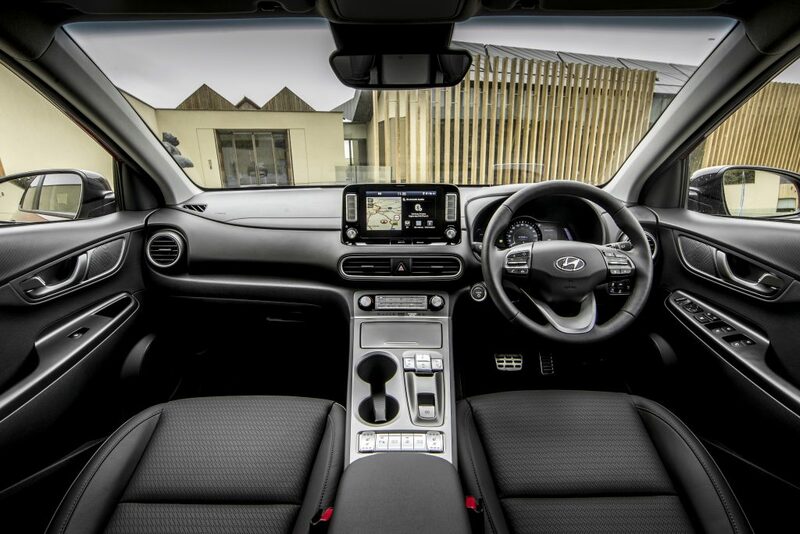 The Kona Electric features Hyundai’s Display Audio system as standard, which offers Apple CarPlay, Android Auto and Bluetooth connectivity. This way, users can control their music, telephone or navigation functions on the 7-inch capacitive colour LCD touchscreen, while remaining focused on the road. A separate, 7-inch information screen located in the centre of the instrument cluster between the two dials is standard for Kona Electric. Customers also have the option to choose the 8-inch navigation system, offering the same connectivity features, and with the addition of a free seven-year subscription to LIVE services, offering updated information in real time about weather, traffic and speed cameras (where legally allowed), plus online searches for points of interest. 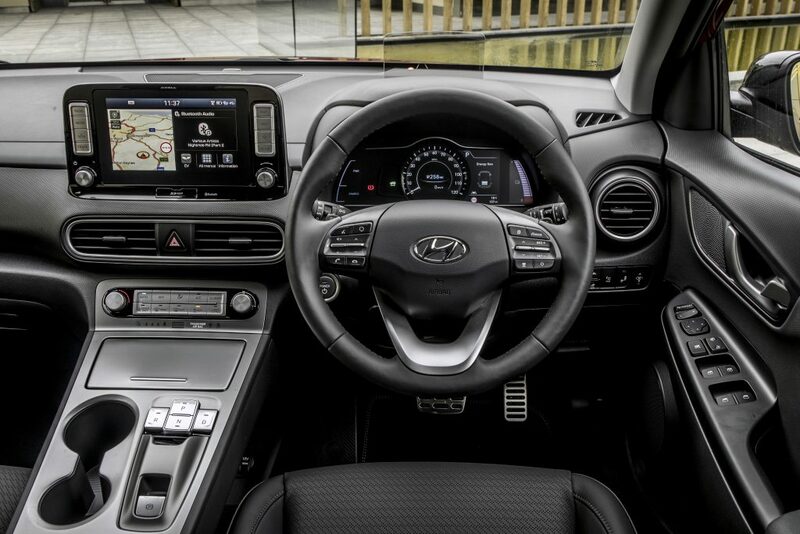 The navigation system also features 3D maps and Hyundai’s unique Lifetime Mapcare with free annual map and software updates included. To enhance operation, both systems include a rear-view camera with dynamic guidelines. To ensure that occupants’ phones are always charged, the Kona Electric also provides a wireless inductive charging pad (Qi standard) for mobile phones. The phone’s charging status is visualised with a small indicator light above. To ensure that the phone will not be forgotten inside the car, the central display in the instrument cluster shows a reminder when switching off the car. For additional connectivity, the Kona Electric comes as standard with a USB port and an AUX jack. Kona Electric offers a high-end sound system by audio manufacturer Krell, featuring eight speakers including two 20 mm tweeters, four 160 mm woofer speakers, one 100 mm centre speaker and a 200 mm subwoofer speaker. 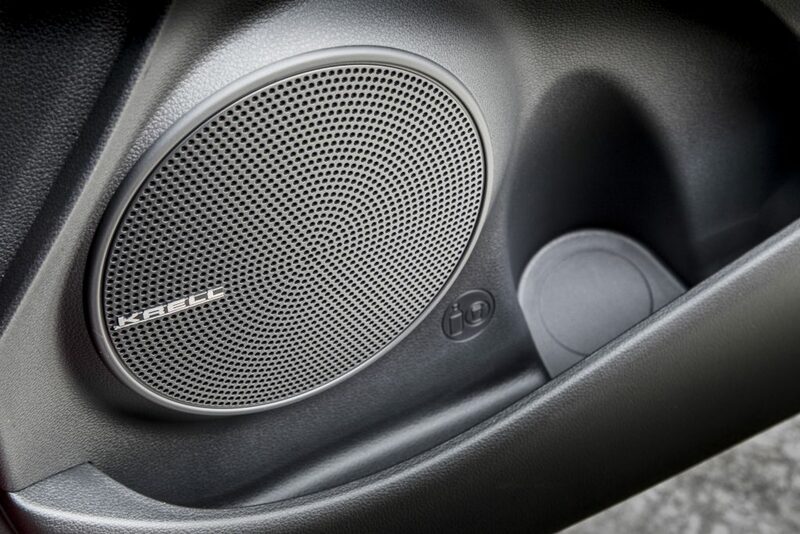 The eight-channel amplifier delivers 45 W per channel to maximise the audio experience inside the car. When it comes to safety of both the driver and other road users, the Kona Electric is not lacking either. The Kona Electric features Hyundai SmartSense active safety and driving assistance technologies, to comply with the highest European safety standards: Smart Cruise Control (ASCC), Autonomous Emergency Braking with Pedestrian Recognition (AEB), Forward Collision Warning (FCW), Lane Keep Assist (LKA, which is standard), Lane Follow Assist (LFA), Blind Spot Detection (BSD) including Rear Cross Traffic Alert (RCTA), Driver Attention Alert and Speed Limit Indicator Function. While there’s still a lot to take in in terms of what it offers and how it would benefit you if you decide to opt for the Kona Electric, for me, it’s an easy conclusion even after a short time with it; it’s a great value for money over the competitor offerings. Priced at around £30,000 as well as some savings with UK government’s EV purchase incentive, even the high end 64 kWh is still a steal for the money. If you’re still not convinced, the Kona Electric will cost you a lot less on electricity per mile, you save on road tax and If you live in London like me, you won’t have to worry about Congestion Charges, and a lot of parking benefits to having one. When it comes to all the tech, it’s more than adequate for the price point, it offers a longer range than most, and it’s very roomy inside. Let’s not forget it’s actually not bad looking either, considering the ugly design stigma around EV vehicles.